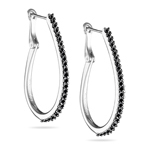 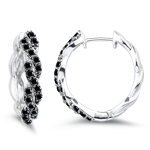 We have elegantly crafted Black Diamond Hoop Earrings to suit your style. 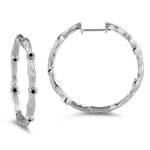 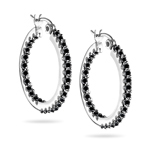 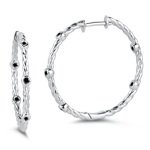 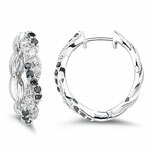 The hoops are magnificently jeweled with top quality black diamonds and set in precious metals with designer backings. 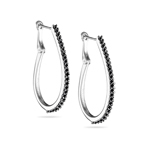 Buy the chic earrings within your budget. 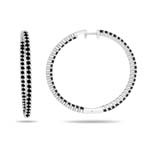 Black Diamond measures 10 on the Moh's hardness scale, which is opaque. 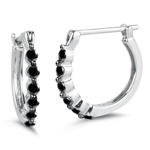 The sources of this stone are Australia, Africa, Brazil, Russia, India.